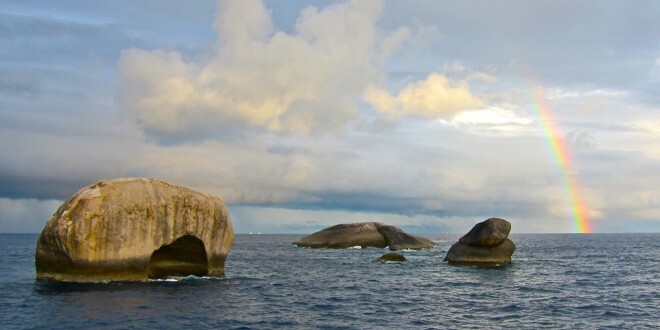 In June the Similans are heavily hit by southwesterly monsoon winds and heavy rainfall. Waves of average 2 meter height continue to hit the west side of the islands. For the next weeks the weather is about to calm down a little bit, but the Similan Islands remain unaccessible until October nonetheless. Temperatures range between 26°C at night and 32°C on sunny days. Local rain showers let the temperatures drop to 28°C. The wind speeds are expected to rise above 20 knots (43 km/h) within the next ten days.